Are you looking at the most popular travel destinations and you decided to check the Amalfi Coast? 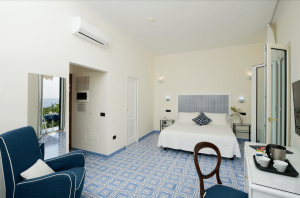 Take advantage of our special offer on the Amalfi Coast in May 2019, the longer you stay here then the more money you save! May is probably one of the most beautiful months to visit the Amalfi Coast, thanks to the mild climate, warm but not sweaty, with long days and the beauty of nature with the scent of orange blossom. Walking along the streets of the city centre among the locals, sipping an ‘aperitivo’ in a bar in the main square, dining pleasantly outdoors in the warm evenings; these are just some of the activities that the beginnings of the summer time allows. The May weather is perfect for trekking and walking, such as the famous Path of the Gods to enjoy all the beauty of the Amalfi Coast revitalising yourself along the path from Agerola to Positano. And for those who prefer relaxation May is ideal for the first dip in the sea as well as a boat trip with the classic tours along the coast or over to Capri. 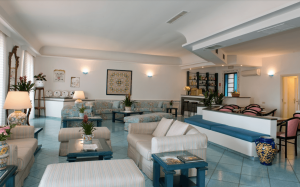 But the beauty of the place and of the nature in May are not the only reasons for choosing Amalfi Coast for a break : the season is still at the beginnings and the prices you will find are generally lower than the peak season. stay for at least 3 nights and get a 15% discount on the total amount! FOR MEDIUM-LONG STAYS, YOU WILL NOT FIND A BETTER RATE ELSEWHERE !!!! In case of cancellation or changes made up to 30 days before the date of arrival, no fee will be charged. In case of cancellation or changes made up to 1 day before the date of arrival, 100% of the first night will be charged. In case of cancellation or changes made after this deadline or in case of no-show, the full amount of the stay will be charged. Book now your holiday on the Amalfi Coast in May, and take advantage of the special season rates for those who book early! The colours and scents of Amalfi are waiting for you!